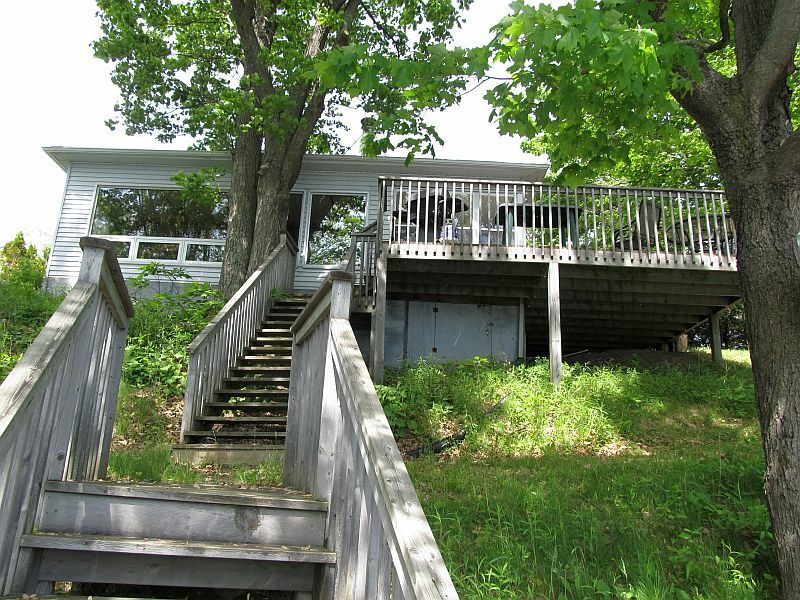 Two bedroom cottage with 150 feet of south-west facing shoreline. Near the end of a private cottage road, it enjoys no traffic and as such is an exceptional choice for long walks and people with children or pets. Also, a rarity with cottages, is a huge open back lot with another fire pit that is great for sports. 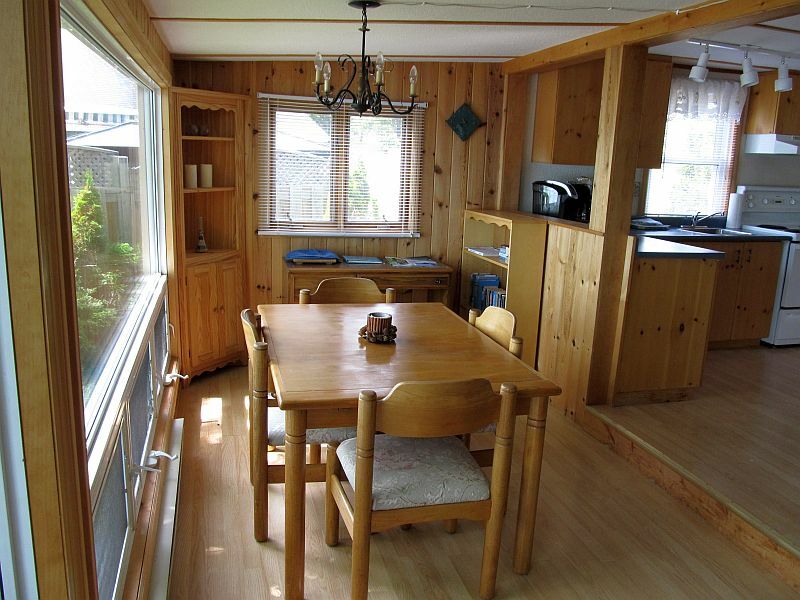 Open concept, with a modern kitchen and lots of counter/cupboard space, which includes a breakfast bar and four stools. 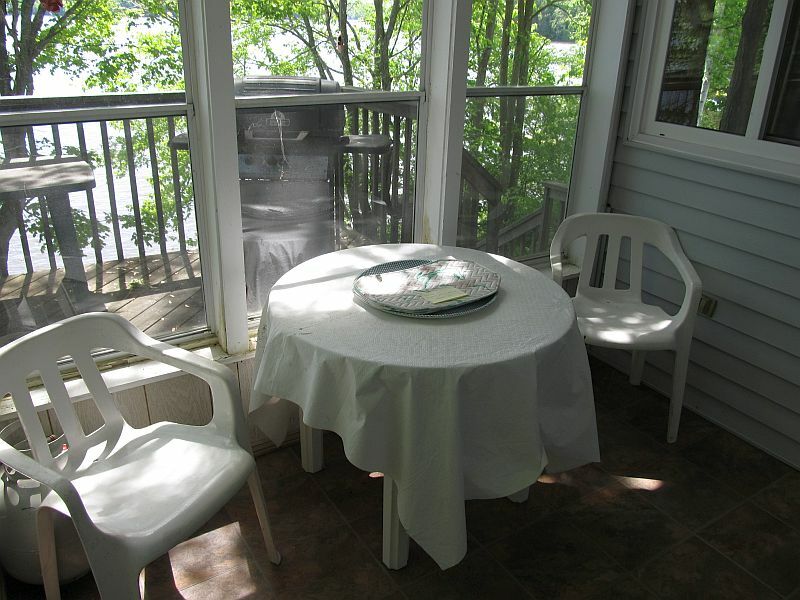 The wall-to-wall windows offer a great view of Three Mile Lake from everywhere in the cottage (except bedrooms/bathroom). The first bedroom has a queen bed, dresser and closet. The second has a double bed with a single bunk on top and dresser and closet. 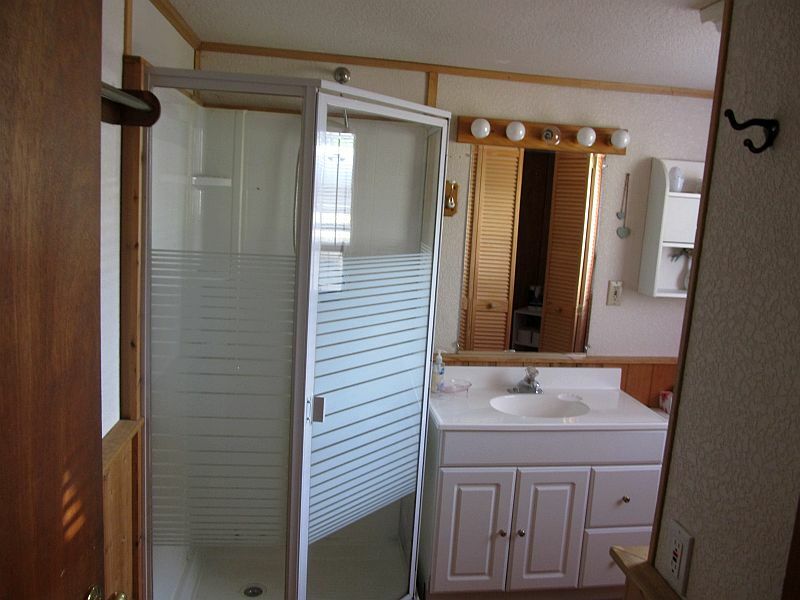 There is a large three-piece bathroom. 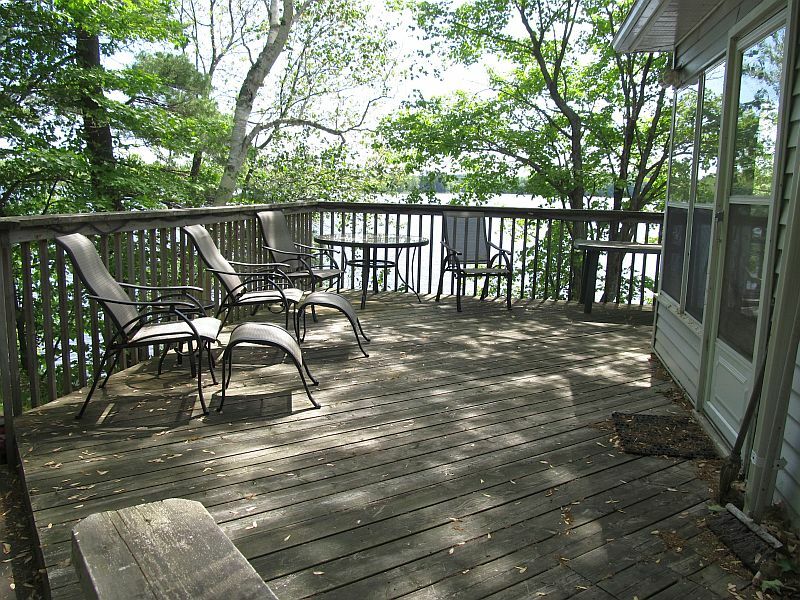 The large deck is perfect for outdoor dining and overlooks the beauty of the lake. The deck at shore is perfect for enjoying a glass of wine while watching the beautiful sunsets. You can decide to swim off the dock, or follow a few stone steps into the water. 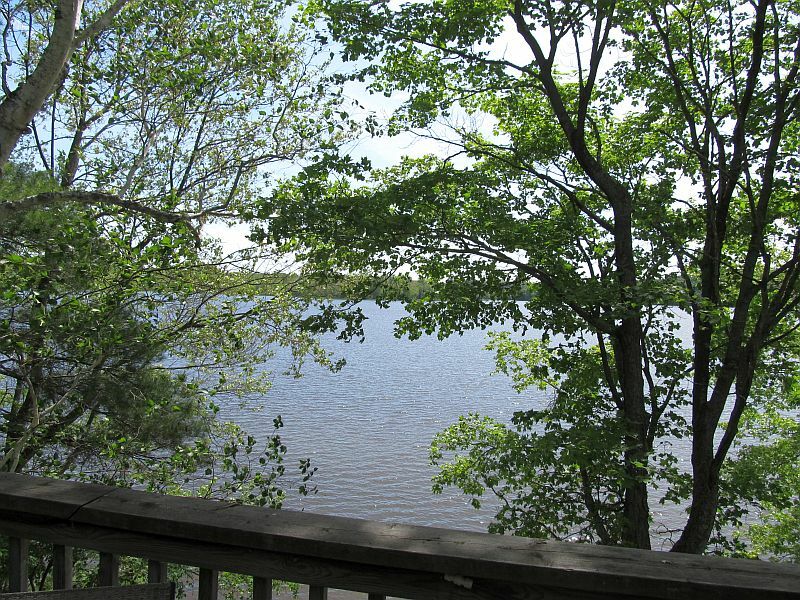 For the fisherman in the family Three Mile Lake offers great fishing. Enjoy the refreshing breeze in the hammock hung between two large trees providing shade and overlooking the lake. 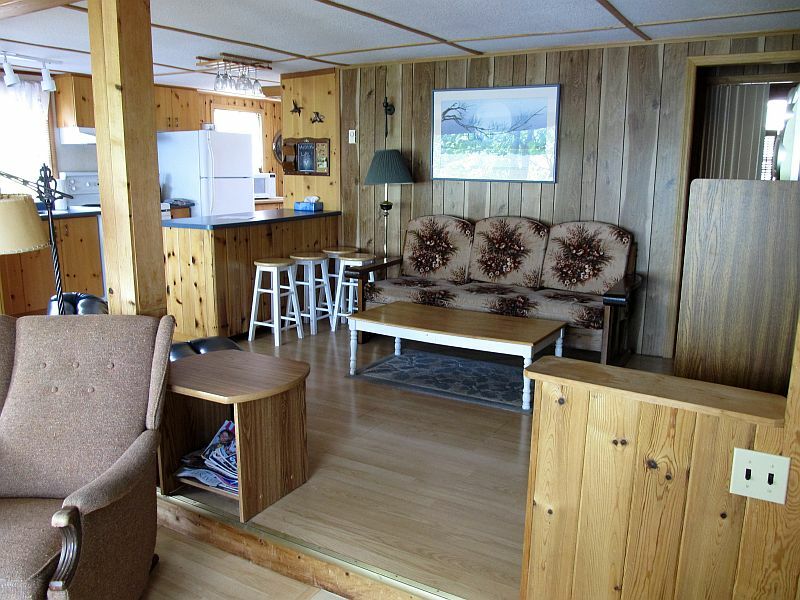 There is a cabin that is perfect for having a quiet afternoon nap, or curling up to read a book. 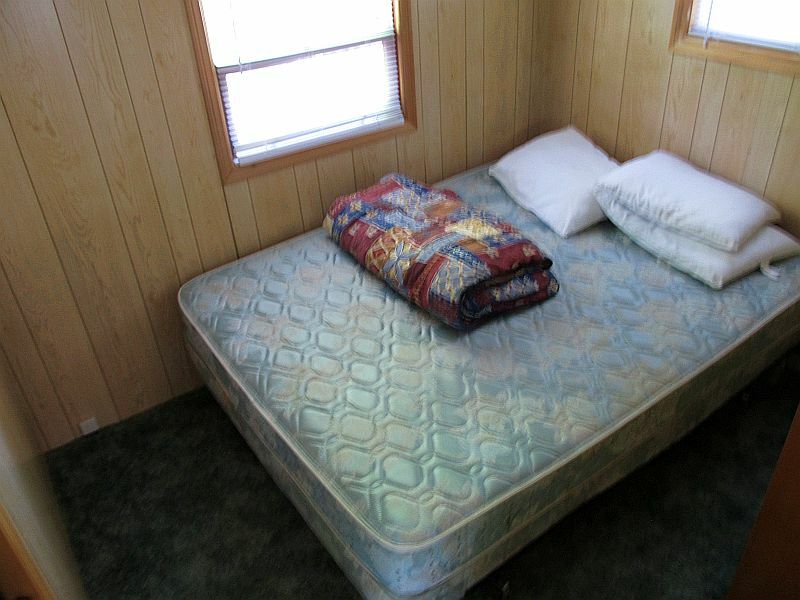 It has a pull-out couch and views of the lake. The fire pit is located right beside the water for night time stargazing and is a wonderful pastime for after-meal relaxation. Bracebridge offers many restaurants, shopping and Santa’s Village. Huntsville also offers shopping, several restaurants, Pioneer Village and the Algonquin Theatre. Algonquin Park is just over an hour drive. High Falls on the Muskoka River is a popular tourist destination (15 minutes from cottage). The city’s where you make your living……Muskoka is where you do your living! 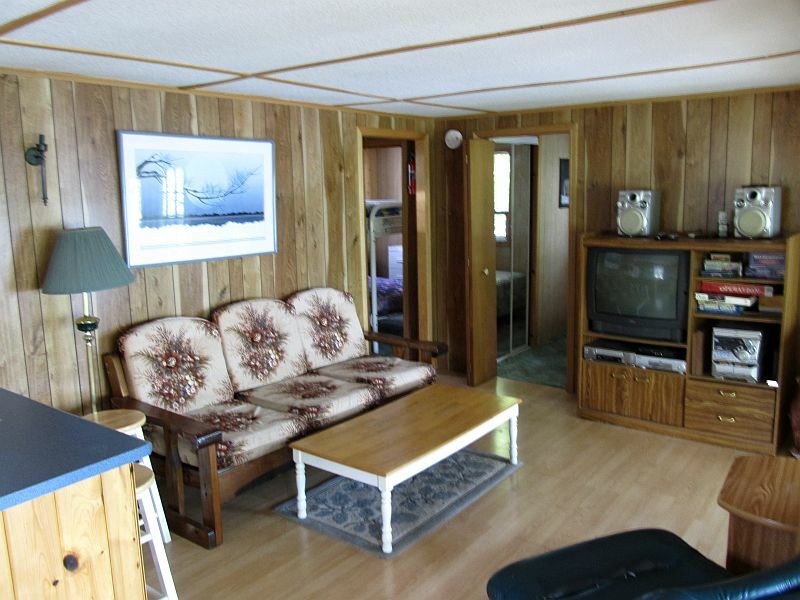 $900 per week during low-season. The Security Deposit is held as insurance for our owners that should malicious damages occur, they will not be financially responsible. 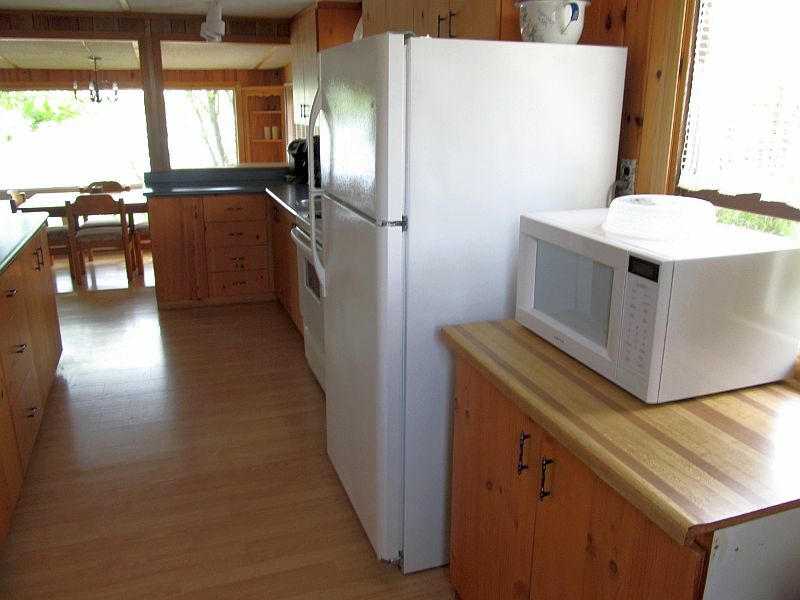 Penalties will be charged to the guest for a number of reasons, not limited to: smoking inside a cottage where smoking is prohibited, exceeding the guest limit for the cottage, leaving garbage on the property, misuse of cottage property.